In the midst of construction, the facility’s General Manager approached the team wondering if he could see the pool from the second floor of the facility. That was the moment the Virtual Design Construction Specialists got to work. 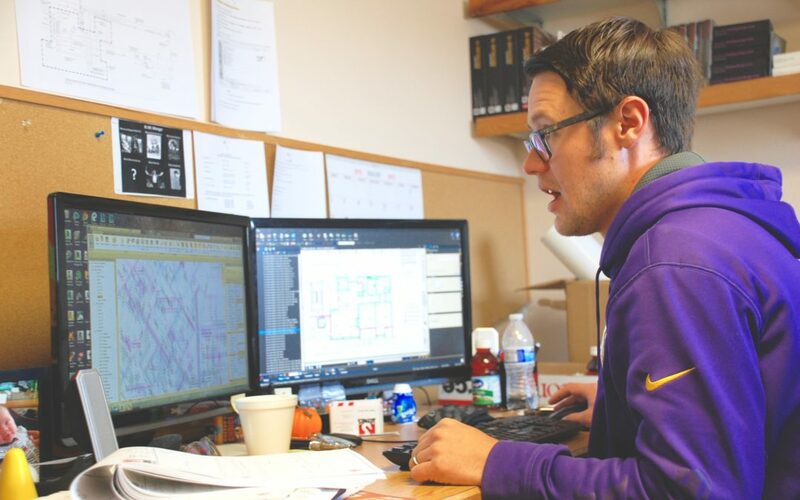 With programs like Revit and Navisworks, the team developed a fully interactive model. Once the model was complete, the team went to the job site with their Oculus Rift headset in hand. They allowed the General Manager to adventure through the second-floor room, hallway, and other spaces so he could experience the facility before it was built and confirm that you could not see the pool from the second story balcony. Construction technology is changing how we build buildings, there’s no question about that, but it’s also revolutionizing how you interact with your facility before we even begin building. We utilize Building Information Modeling and Virtual Reality to let you experience the facility before it’s ever complete. For healthcare institutions, you can test the effectiveness of the surgical room or the flow of patients in and out of the facility. Similarly, for education, teachers can walk through their classroom and verify the placement of desks, tables, and storage. Also, business leaders can see how their teams will interact in the meeting rooms or collaborative spaces. Whether it’s healthcare, education, business, or any other realm, Virtual Design Construction lets you explore your facility early on. The Virtual Design and Construction Specialists develop the model the moment the project is given the go-ahead. This coordination is where any potential systems clashes are resolved – meaning saved time and money. Also, the subcontractors use the model with the general contracting team to coordinate the facility’s construction process. During construction, you can have access to your building’s model. This model lets you see the facility and verify the elements within before the building is constructed. Also, you can write notes on certain sections of the model and share the information with the project team. Within the model is an issues log. This is an area where you can see what the project team is resolving or has resolved recently. Once your project is complete, the model will stay with your team. This means your facility management staff can access the virtual model to see the structure or systems pathways with the click of a mouse. Last year at many construction technology conferences there were only a few booths with a Virtual Reality headset. This year, that number grew exponentially. This trend shows the rapid inclusion of Virtual Reality into construction’s normal operating practices. Hard hats are a standard piece of safety equipment on every job site. 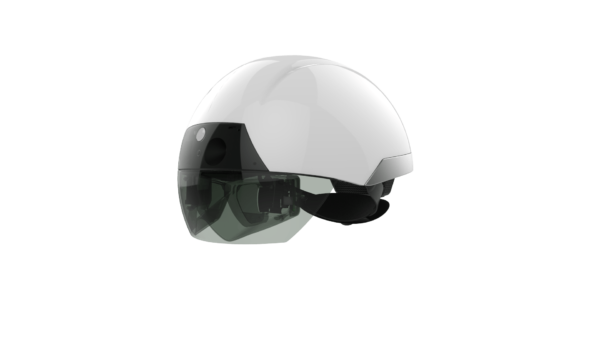 This equipment is now potentially changing with the introduction of Daqri’s Smart Helmet. This is a system that shows the actual environment mixed with the virtual model making it easier to track construction progress as well as verification of material placement. You can now verify the line of site of specific building elements without a single wall placed. 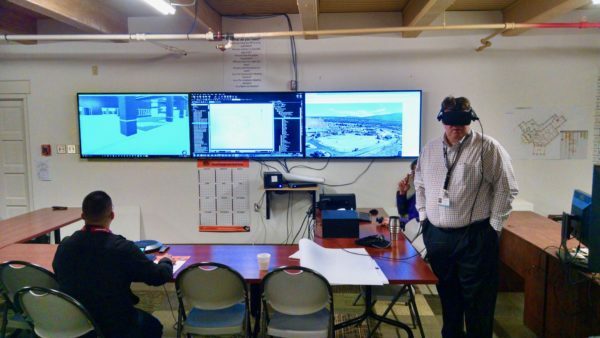 With Virtual reality and building information modeling, you can validate decisions about your facility without wasted time or money. Construction technology is trending towards an ease of information flow from you to our team, which will positively impact your future facility’s users. VDC Virtual Design and Construction is the management of multiple models in design and construction projects. BIM Building Information Modeling is the creation and management of a virtual model of a physical form. 4D is a virtual model where the project’s schedule is synchronized with the building’s model. This allows you and the project team to see the project’s progression with specific dates. 5d is model-based estimating where the building’s model elements are given associated costs and the overall building’s estimate is created. For example, each structural beam, wall, stud, table, anything is given a dollar value and the program correlates this information with the elements in the model. 3D Scanning is completed with a scanner on a tripod that scans and area. 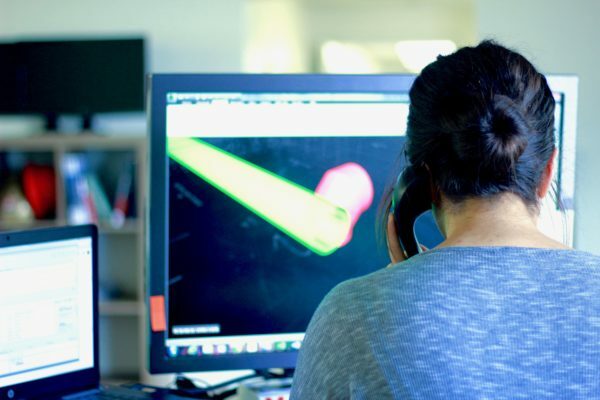 This system creates a point cloud model so you can connect the scan to the Revit model. BIM 360 is a cloud storage system that hosts the project’s model so anyone, anywhere, at any time can access the model with an app or computer device. 3D Printing is just as it sounds, but in construction, it is used to fabricate elements and make mock-ups of facilities before they are ever built. Jaynes has served the Southwest for 71 years. 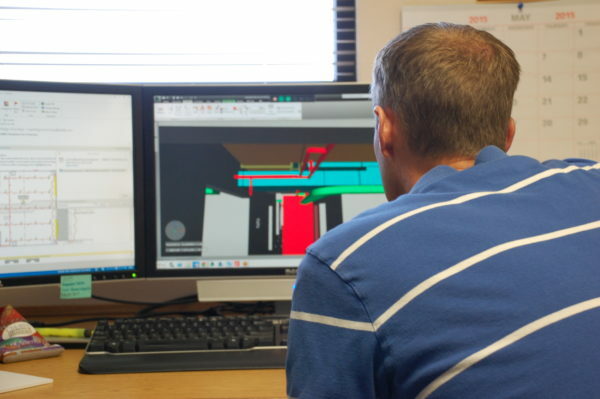 Today we have a team of Virtual Design and Construction Specialists who focus on the management of a project’s virtual model. They are trained to resolve project system clashes and coordinate the overall model with the entire project team. Here’s a look at what they do on a daily basis.